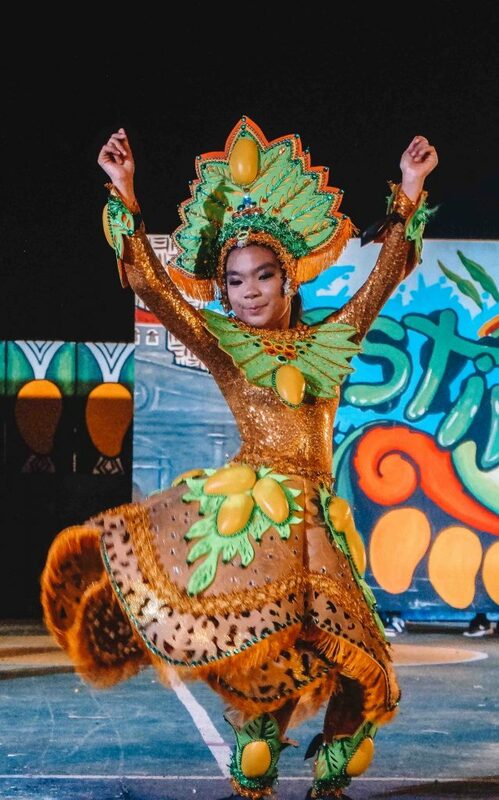 Home > Asia > Philippines > Zambales > Baile, Dinamulag 2019! Summer time is tropical time! Wouldn’t you love to have a nice, chilled slice of mango, with a side of cream or any other sweets you have on-hand? Ah, but mangoes are best tasted where they are best grown, and that’s in Zambales. 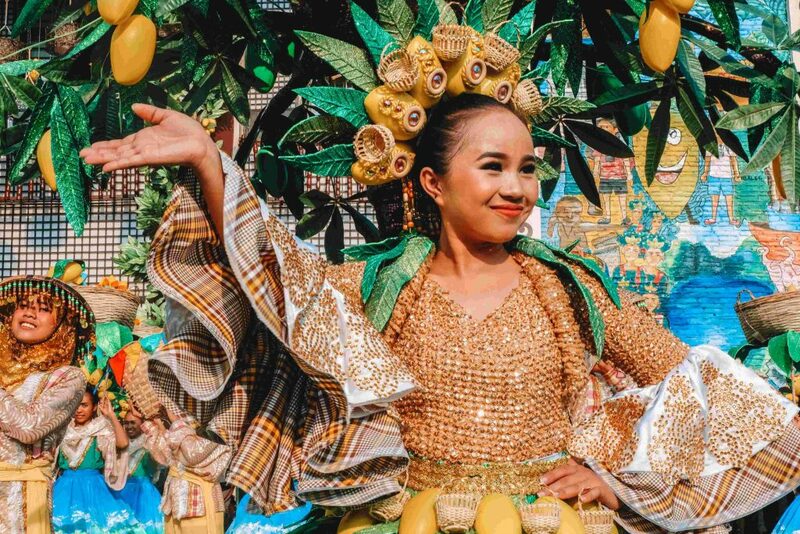 The province prides itself on growing some of the sweetest mangoes in the country and in the world. And what better way to celebrate this distinction than with a feast of its own? 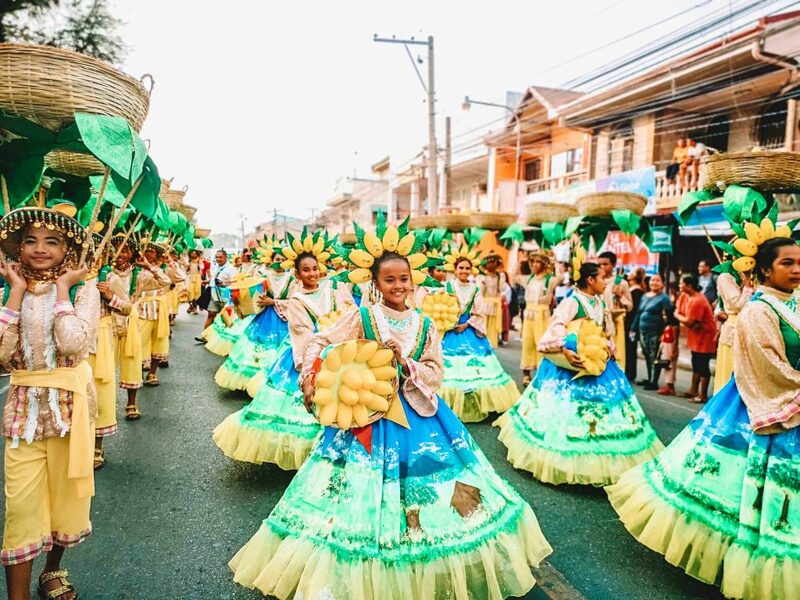 Enter the Dinamulag Festival of Iba, Zambales. 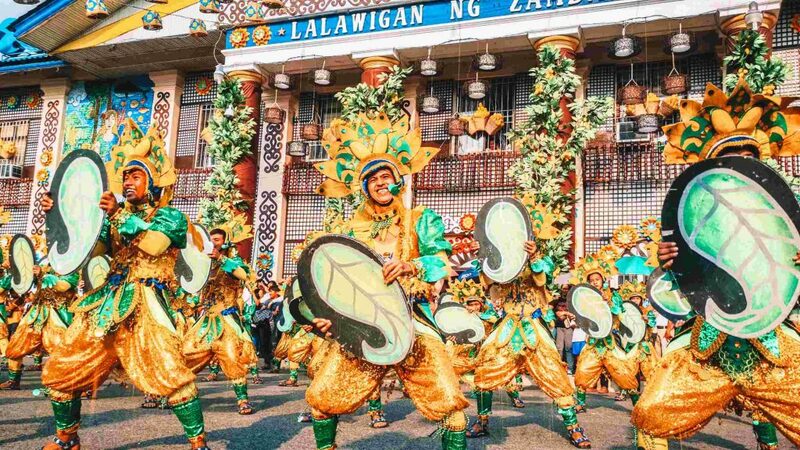 This is an annual celebration that runs for the whole of March, with the final week culminating in a sweet cascade of colorful activity. 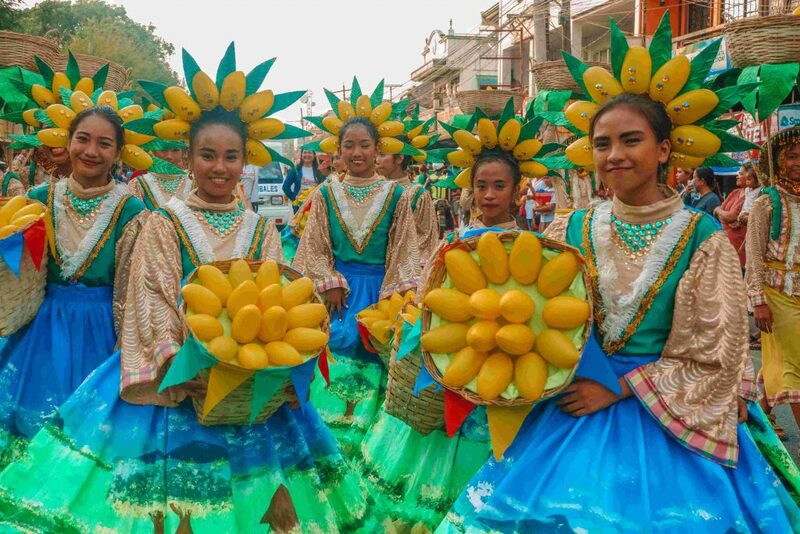 The festival got its name from Zambales’ own carabao mango variety, which is locally known as “dinamulag”. The variety is known for its distinct sweetness. And that’s not a mere observation, too. Last 1995, the local Sweet Elena type was recognized as the world’s sweetest by none other than the Guiness Book of World Records! 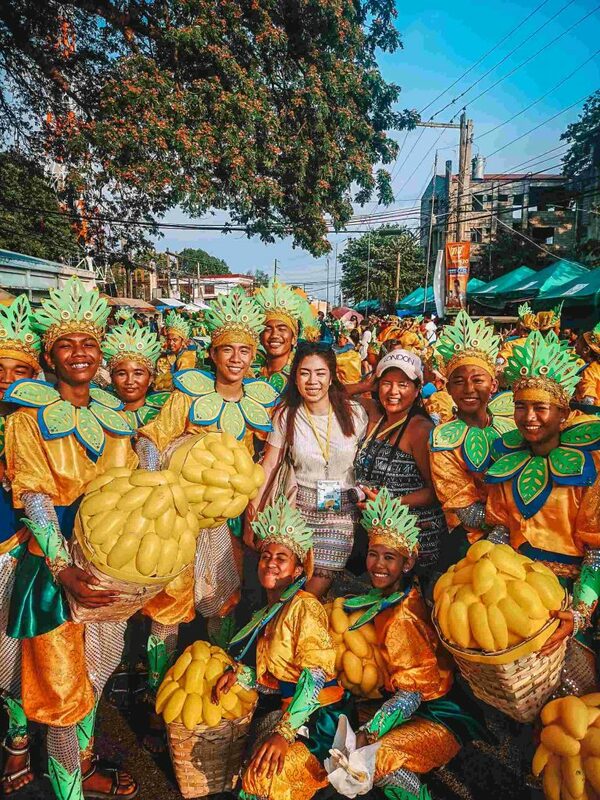 And today, what’s sweeter than pairing the summer’s harvest of mangoes with some street-side fun? 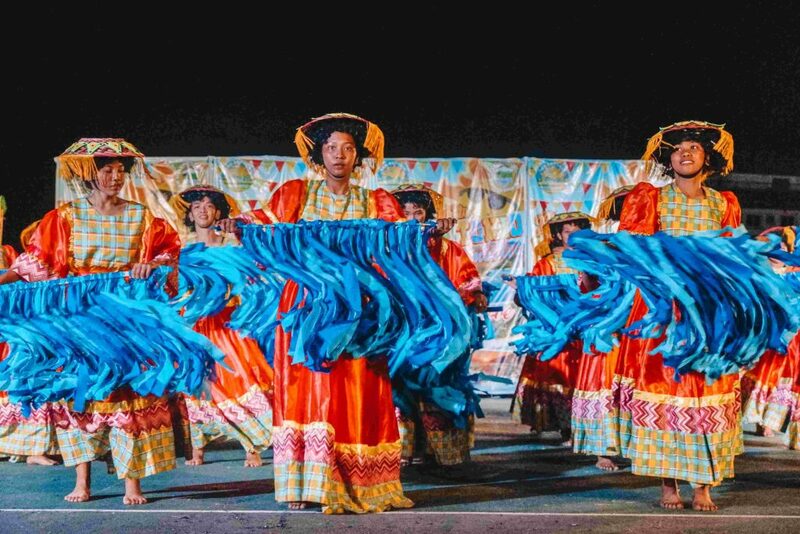 This year, we were invited to watch the closing events of the festival, which also contained its highlight — the Zambayle Street Dance Competition. 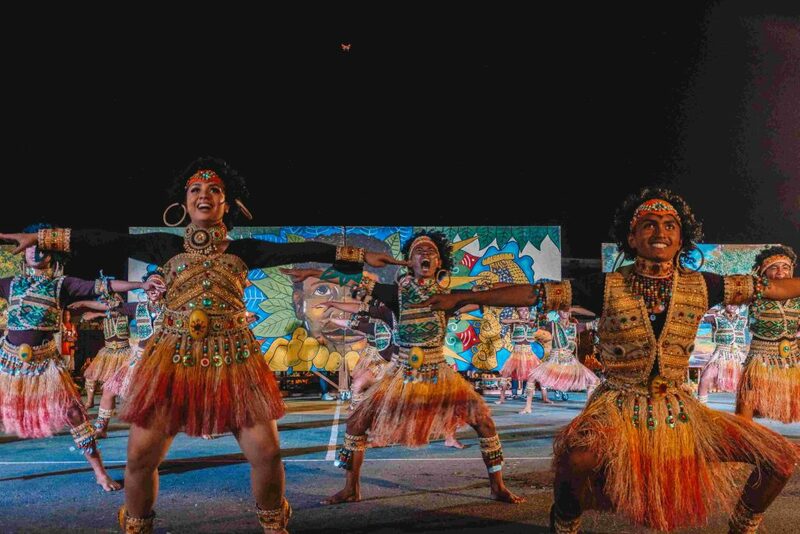 I’ve seen some of the country’s best-known displays of revelry, including the Ati-Atihan Festival. But nothing’s going to take from me the chance of seeing street dancing here! Iba. 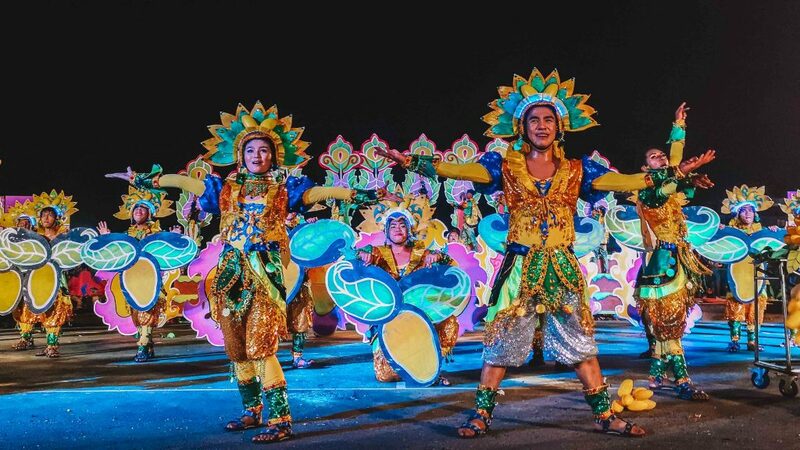 Zambales’ provincial capital, Iba is known for its harvest of mangoes and its vibrant display of arts and culture. San Antonio. Historically a hunting ground for game, it is now famous for its many tourist attractions including the pristine Anawangin Cove. San Felipe. 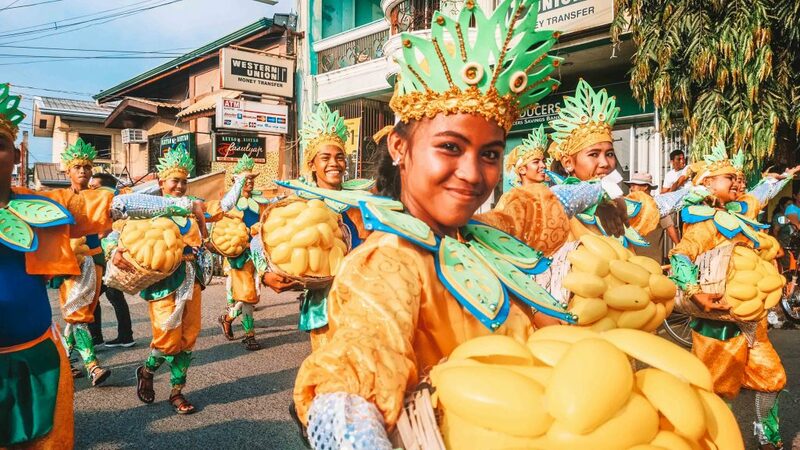 Like San Antonio, this is also known for its tourist attractions including a collection of beaches, falls, and a very underrated but excellent surfing spot in Barrio Liwliwa. Castillejos. 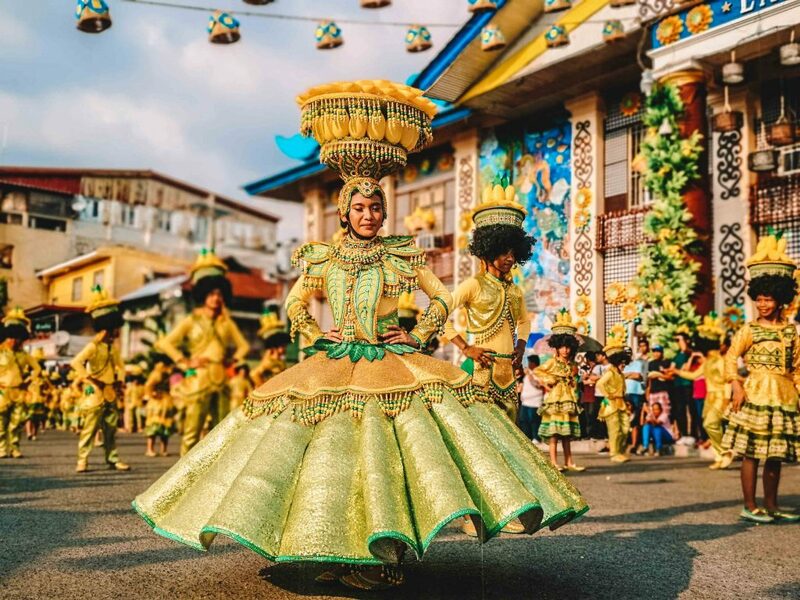 Known for its heartfelt cenáculo during Holy Week, as well as for its rich agricultural potential, Castillejos is also the site of the Ramon Magsaysay Ancestral House. Masinloc. Made famous as the municipality that holds the disputed Scarborough Shoal, it is also known for the San Andres Parish Church which is a National Cultural Treasure. Subic. 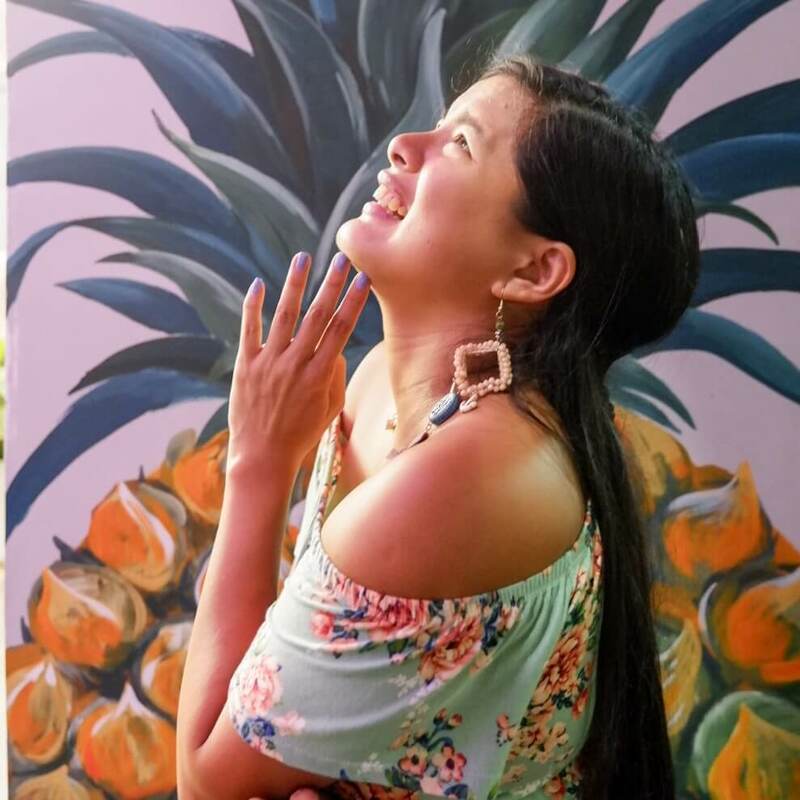 Undoubtedly the most famous municipality in Zambales, Subic offers a multitude of attractions not the least of which are the jungle, racing, and water activities around the Free Port Zone. Botolan. 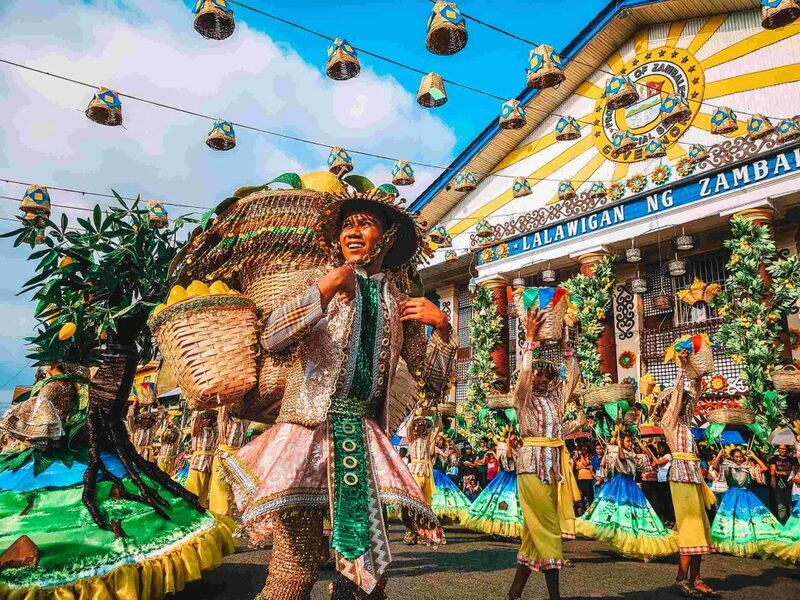 The largest municipality of Zambales in terms of land, it is famous for its gray-sand beaches and its infamous resident, Mount Pinatubo. Each of the competitors did an awesome job, and I seriously enjoyed the props! They didn’t just dance to the beat, with mangoes in their costumes. 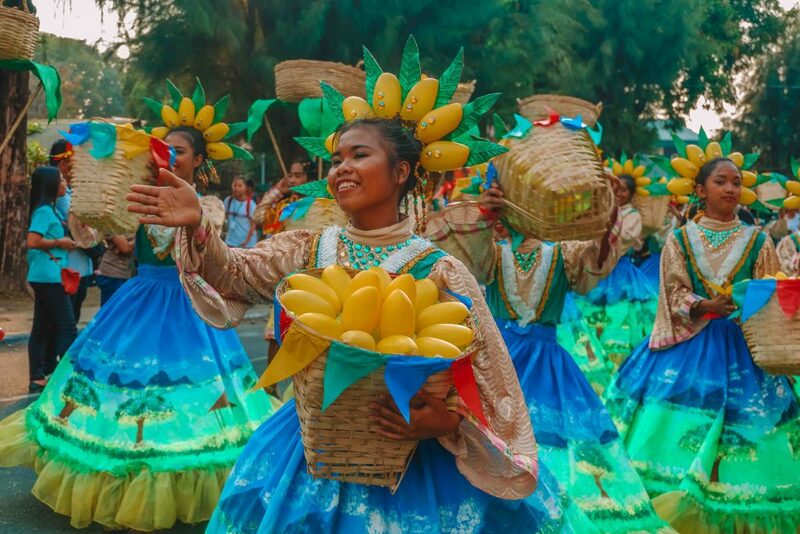 They managed to interpret the story of the mango, its role in the province’s culture and commerce, and as a whole, the beauty of Zambales. Of course, that’s not to say that the costumes were a small part of the celebration. They were intricate in such a way that is hard to believe. Beads and sequins, mostly of green, yellow, gold, and brown, wound their way around the dancers’ heads and bodies. From them and from cloth and felt, images of leaves and branches sprouted. 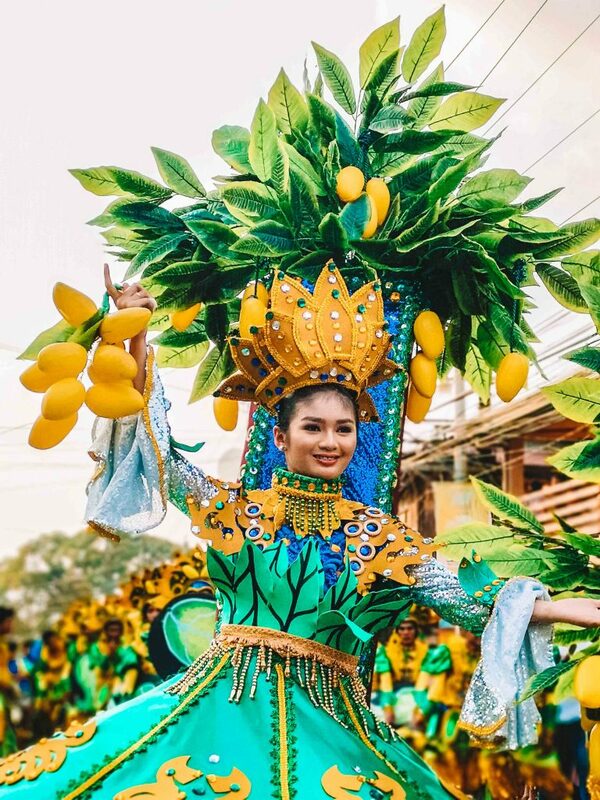 Salakots and kaings were worn as adornments on heads, and the mango image was everywhere from overloaded baskets on top of dancers’ heads to the hems of their gowns. Some costumes even had a full bahay kubo and painting on it! Once you see the pot prize — in the six figures, no less — you’ll know what all the work is for! The first place was bagged by the San Felipe contingent, which was my personal favorite. I thought they were clear-cut winners, what with their cool concepts! Masinloc took second, along with the title of being the hall of fame. Solid transitions, good moves, and an unlikely guest in the form of a bird. 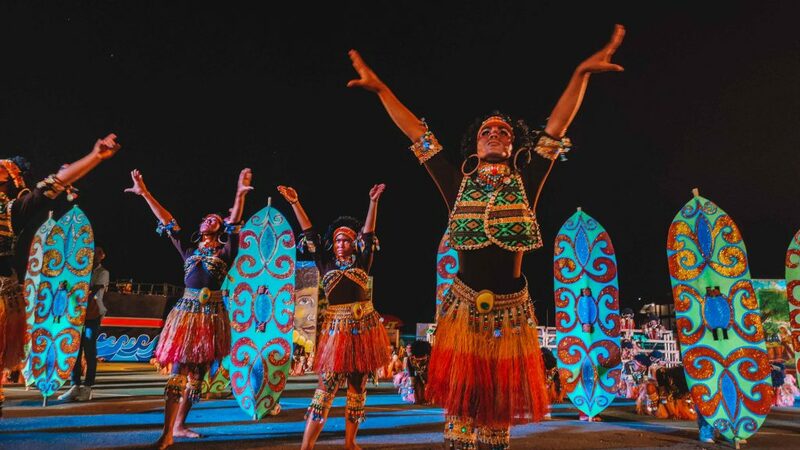 The host city Iba came in third, with its tribal-inspired costumes and movements. 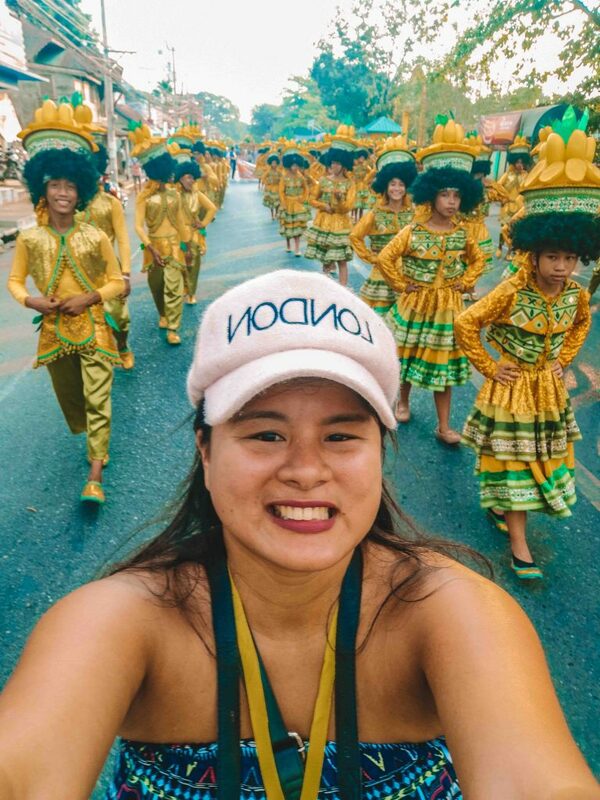 It’s not every Dinamulag Festival that I get to be here, so I really wanted to see more. I really hoped I had the chance to see the rest of the activities. 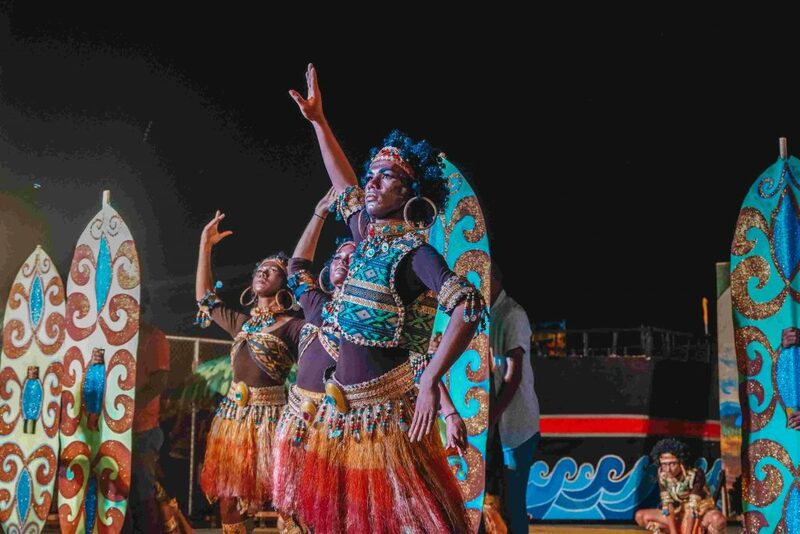 While the dancing is definitely the highlight, there’s also a wide variety of other events that come before it. 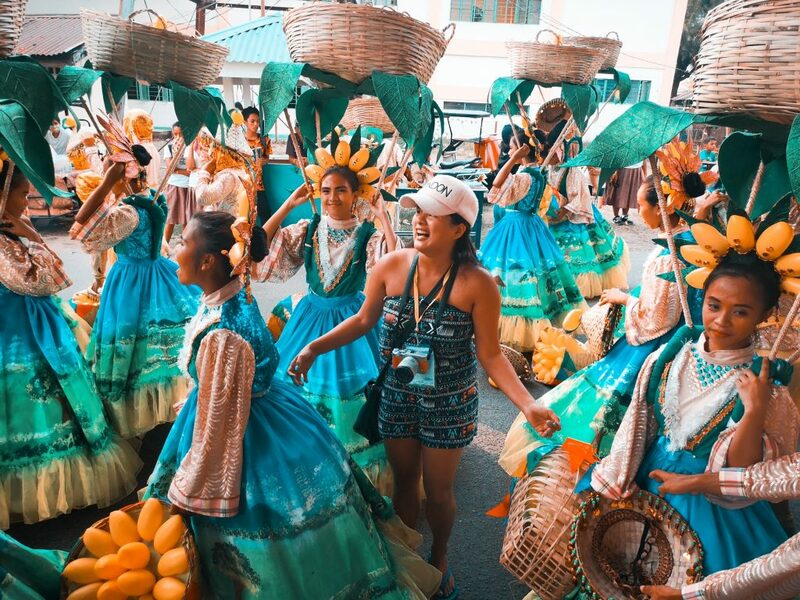 There’s the Binibining Zambales pageant (where, of course, the candidates wore mango-inspired costumes). There’s also a separate contest for Mr. and Mrs. Body Beautiful. 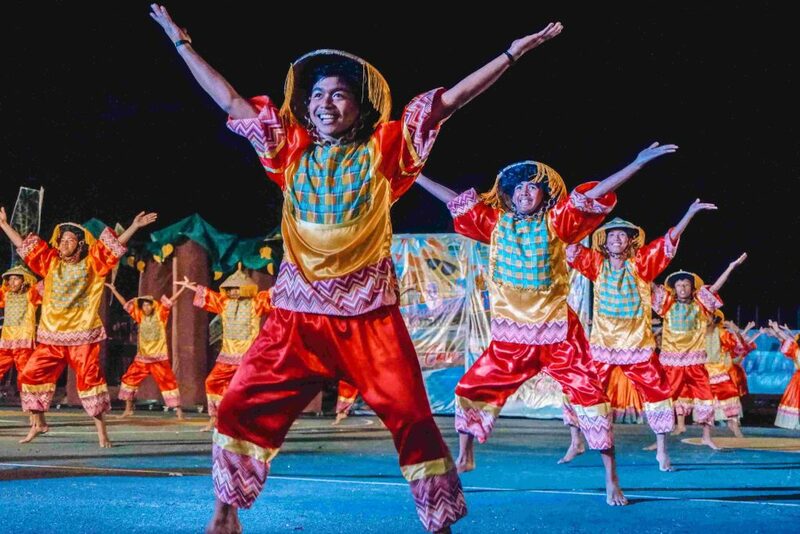 For those looking for different kinds of competition, a “Laro ng Lahi” and a “Tuklas Talento” contest are also held. And what’s a festival without food? A cookfest is rightly a default part of the festivities. For those looking for something a bit out of the ordinary, there’s a pet show and a “Likhang Buhangin” sand sculpture contest. After all the dancing, the festivities are topped off by a spectacular fireworks display! Really, it’s an experience you should try at least once in your life. It’s a sweet one, in several different ways! 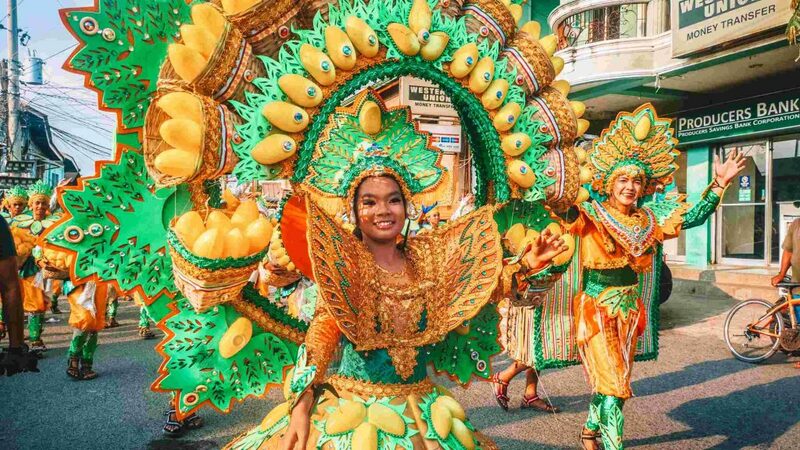 Aside from all that mango, the extravagant costumes are a real eye-candy (and sometimes mind-boggler). Everyone’s dressed to the nines to have fun! And the people too, not just the performers, have a contagious smile and energy. I am a jolly person myself. But when you see all these people twirling about in full smiles, one would feel there’s a lot of happiness left to learn! We started the event at around 4PM, and ended at sometime between 7 and who-the-heck-looks-at-their-watches-anymore! It was that fun! Of course, there’s the star power, too. I got the chance to hear a special Spoken Word Poetry performance from Beverly Cumla while waiting for the decision of the judges! While we’re enjoying all these, our home for the time being, Bakasyunan, is safely housing our luggage. It’s a resort property that’s set on Zambales’ famous white-sand beaches. It’s a pretty, tropical-style place with a lot of trees and a very safe beach front (no undertow)! 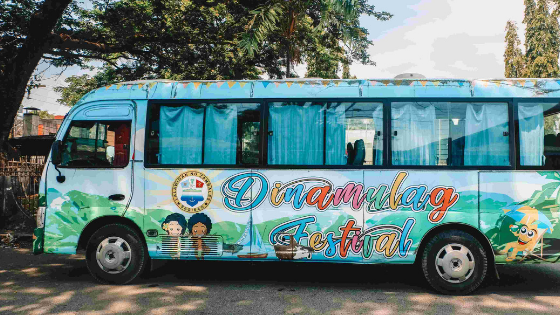 Zambales is sweet in more ways than one, and as summer starts each year you should relish its succulent sights and sounds — only at the Dinamulag Festival!